A father and his two children were killed early this morning in single vehicle crash on I-75 near Brandon. The mother, a passenger in the 2005 Maserati, was transported to Tampa General with serious injuries. The crash occurred at about 2:26 AM on Sunday, November 6, 2016. According to Florida Highway Patrol (FHP), the Maserati was traveling northbound on I-75 north of State Road 60 when 31 year-old Ronald L. Green II of Bartow, lost control of the vehicle. The vehicle entered the center median, collided with a guardrail then striking and going over the concrete barrier wall. 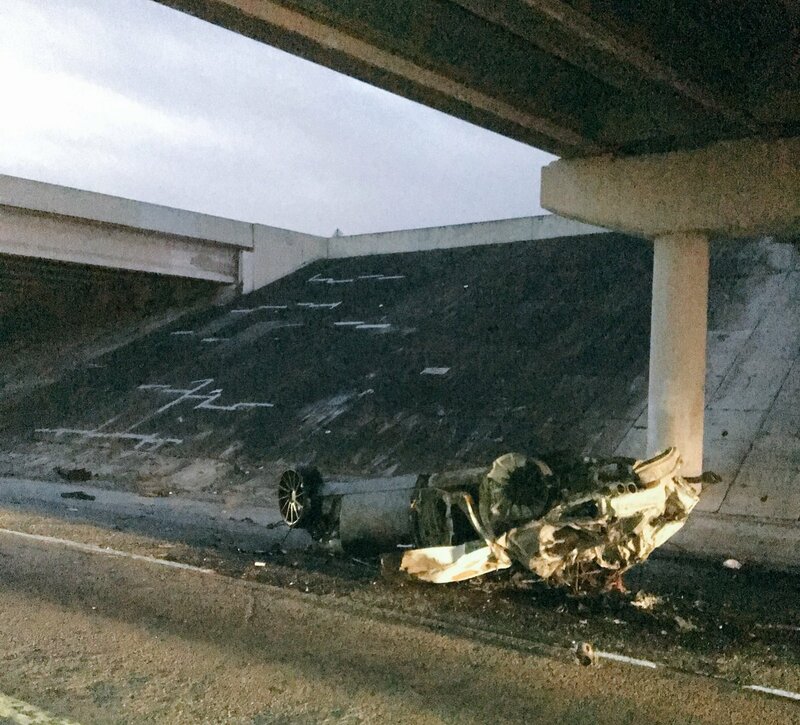 The vehicle fell off of the I-75 overpass onto Woodberry Road down below. Upon arrival, Fire Rescue personnel discovered the vehicle with significant damage and approximately 50% involved with fire. Fire Rescue personnel extinguished the fire and confirmed two fatalities inside the vehicle. Those fatalities included 9 year-old Sariyah Green and 5 year-old Ronald L. Green III. Both the children were reported to have been restrained in the vehicle. The parents, Ronald L Green II and 26 year-old Tiffany Lasha Young, were both ejected from the vehicle. FHP reports that neither utilized seatbelts at the time of the crash. Ronald L Green II died at the scene along with the two children. The mother was transported to Tampa General with serious injuries. Toxicology tests on Mr. Green are pending but FHP believes that alcohol may have been a factor in this crash.